Meet the Cast of the “Who I Am” PSA | What Can YOU Do? “Who I Am” features nine real people with disabilities. Rather than be defined by disability, these individuals are the sum of their many life roles—which includes working in jobs they love. Meet the cast of the “Who I Am” PSA. 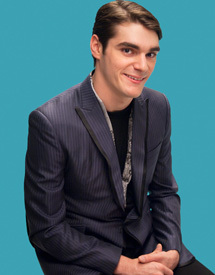 RJ Mitte is a television actor best known for his roles on AMC’s “Breaking Bad,” in which he played a person with his same disability, cerebral palsy, and ABC Family’s “Switched at Birth.” He is involved with United Cerebral Palsy and with several organizations that raise awareness of equality and diversity and the prevention of bullying. As a guest speaker at high schools, colleges and universities around the country, RJ openly talks about the ways he has overcome obstacles and how he has achieved his goals. Pat Leahy is a senior adviser at the U.S. Election Assistance Commission where he does a variety of activities to help states and municipalities run their elections. 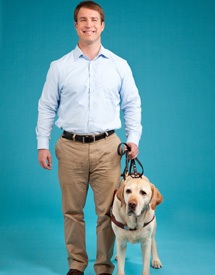 Pat has been blind since birth and uses a service dog, Gallahad. He is also a bodybuilder and mentors children with disabilities in fitness and exercise. He is the subject of a documentary currently in production that aims to promote better physical education for children with disabilities. Sports were a large part of his life growing up and helped him in developing self-confidence. Elizabeth Kumar is an educator and advocate who has lupus and uses a wheelchair as a result of her symptoms. She developed lupus seven years ago. Prior to her diagnosis, she was a classroom teacher. However, upon returning to work, she felt she needed more flexibility over both time and task than being in a classroom allows, so she began tutoring. Currently, she works for the ENDependence Center of Northern Virginia. She relies on Arlington County’s STAR paratransit program to get to work. She has also taught online. 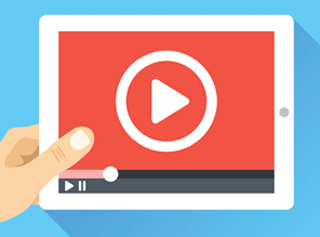 Kate Matelan is a copywriter for QVC, one of the world’s largest TV and online retailers. 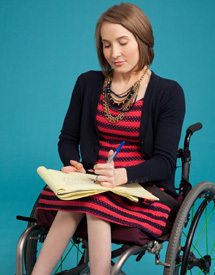 She also freelances for several fashion, lifestyle and disability-related magazines, including Life in Action and New Mobility (both associated with the United Spinal Association). While a student at Bucknell University (from where she graduated in 2010), Kate was active in a variety of student leadership roles, including serving as a resident adviser, helping produce a student-led fashion magazine and volunteering for her sorority. Kate has quadriplegia as a result of an accident when she was five years old. 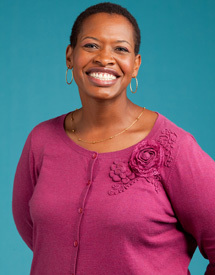 Enas Bell is a fitness instructor, specifically, a certified Jazzercise instructor who teaches at the Falls Church Jazzercise Center. She also occasionally provides Arabic interpretation services via phone. She is interested in additional employment opportunities as well and works with a service provider to identify them. Legally blind, Enas lost sight in one eye in 1995 due to an autoimmune disorder, and then last year lost her central vision in the other. Meg Guliford is a researcher with a defense contractor. She previously worked for the Department of the Navy and was deployed as a civilian in Iraq from 2009 to 2010. She is a graduate of the University of Pennsylvania (Wharton) and Harvard (Kennedy). Meg has relapsing remitting multiple sclerosis (MS). A few years ago, she had a major episode that impaired her ability to walk and required her to spend time in the National Rehabilitation Hospital. On an average day, her MS is not obvious, and the biggest challenge she deals with is fatigue. In college, she was a javelin thrower and today she enjoys running. Vander Cherry is a clerk at the U.S. Department of Education, where he helps process correspondence with loan recipients. He has both intellectual and physical disabilities. A variety of supports help him stay productive, including a job coach and assistive technology (to assist in reading and writing). Vander obtained his job following participation in the Project SEARCH program. 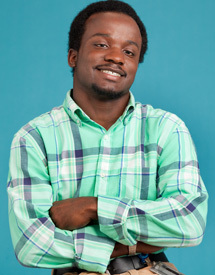 In 2012, he was awarded the “Yes I Can!” award from the Council for Exceptional Children. Ron Drach is a self-employed consultant who focuses on veterans issues, wounded warriors in particular. In this role, he serves as an adviser to numerous organizations on their veterans-focused initiatives. Ron started his consulting business upon retirement from the U.S. Department of Labor a few years ago. Prior to that, he worked for the U.S. Department of Veterans’ Affairs and Disabled Veterans of America. 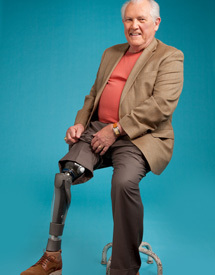 Ron has a prosthetic leg as a result of injuries sustained in combat in the Vietnam War. Denyse Gordon is a Senior Manager at CACI, where she runs the company’s Disabled Veterans Program. A veteran herself, she was active duty Air Force for many years and today continues to serve via the Reserves. Denyse has PTSD and is committed to helping others who do as well, especially in the workplace. As part of this, she serves as a mentor to other affected veterans at CACI and helped establish its veterans mentoring program. 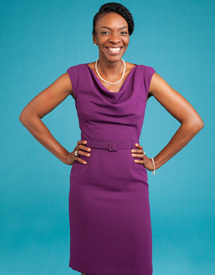 When not working, Denyse can be found running marathons or rooting for the New York Yankees.